Wide Range Liquid Crystal Digital Thermometer - Aquarium Technology, Inc. This wide range thermometer gives an accurate reading in two degree increments from 70 degrees to 102 degrees. Perfect for aquariums or terrariums, fish or reptiles and amphibians where an accurate reading is critical. 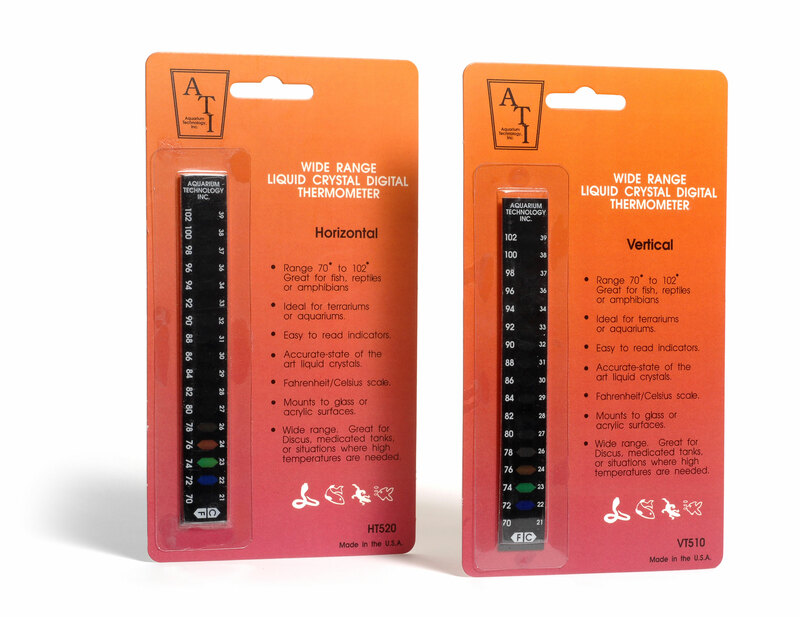 The high upper range comes in handy for applications such as medicated tanks and Discus keeping. Mounts directly to glass or acrylic surfaces.